Our Monitoring Plans - Current offers! After your site will be setup, you'll receive your personal login info to access the monitoring page. We accept all type of sites (also adult). DON'T LOSE CUSTOMERS! 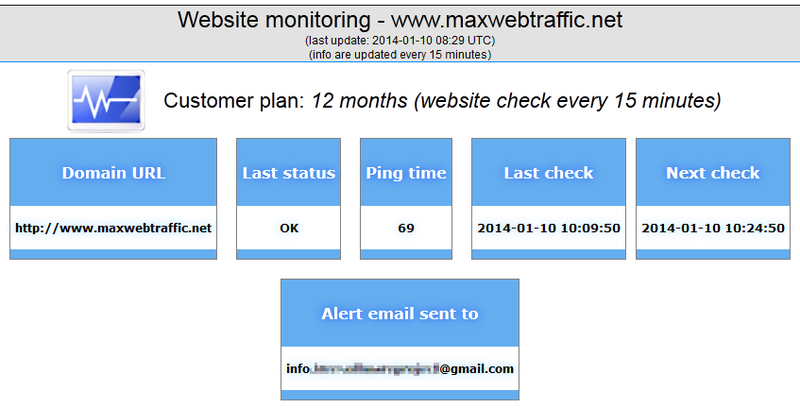 Keep your site constantly monitored!